Home / Health / smoking / Passive Smoking Has A Risk 3 Times Greater Than Active Smokers. 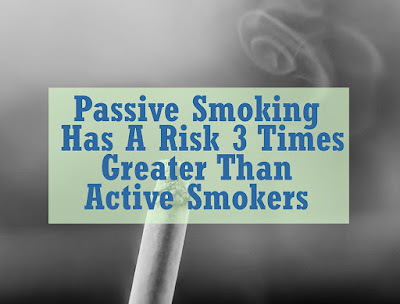 Passive Smoking Has A Risk 3 Times Greater Than Active Smokers. Most health experts state that passive smoking has a risk three times greater than active smokers. When someone smokes, most of the smoke does not enter the lungs of a smoker. Most of the cigarette smoke is released into the air so smoke can be inhaled by passive smokers. Although not directly smoking, passive smokers can also be affected badly. The more often someone is exposed to cigarette smoke, the higher the risk of health problems they experience. Why is passive smoking more dangerous than active smokers? Cigarette smoke contains about 7,000 chemicals which consist of particles and also gas. More than 50 substances contained in it can cause cancer and the rest can irritate all organs in the body including eyes, nose, throat, and lungs. Health experts also claim that out of 100 percent of the dangers of cigarette smoke, only 25 percent is felt by active smokers - given the filter on the tip of the cigarette stick. Meanwhile, 75 percent of the danger is actually obtained by second-hand smoke due to exposure to cigarette smoke directly. Cigarette smoke inhaled by passive smokers has at least 4000 harmful chemical compounds like cyanide, tar, arsenic, benzene, and various other harmful compounds. By inhaling various harmful chemical compounds, passive smoking certainly has the potential to get terrible diseases. Passive smoking also has the potential to get diseases associated with respiratory disorders like asthma or lung cancer. Difficulty breathing until a prolonged cough. A data shows that 20-30 percent of lung cancer sufferers in the world are passive smokers. Mainstream smoke and sidestream smoke. There are two types of cigarette smoke, mainstream smoke, and sidestream. Mainstream smoke is inhaled directly through the tip of the cigarette's mouth by smokers while sidestream smoke is the one that comes from the tip of the cigarette that burns and spreads into the air. Among the two, sidestream smoke is the most dangerous because it is four times more toxic than mainstream smoke. The reason is, sidestream smoke contains three times more carbon monoxide, 10 to 30 times nitrosamines, and 15 to 300 times more ammonia. The spread of cigarette smoke. Cigarettes have very high effectiveness in spreading toxic chemicals. It can make your entire house will be full of toxic substances, such as nicotine, carbon monoxide, and cancer-triggering substances (carcinogens). Even worse, all these substances are not only in the location where you smoke. All rooms inside the house, including children's rooms and babies, run the risk of being contaminated by various substances that are harmful to the body. In addition to its wide range and rapid spread, cigarette smoke can also survive in the air for a long time. Cigarette smoke can survive in the air for up to 2-3 hours, even when home ventilation or windows open. Cigarette smoke can also settle on the floor and objects that are around where you smoke. Toxins that come from cigarette smoke can also stick to your body, clothes, hair, and hands. Bad Impact of Cigarette Smoke. Tobacco smoke contains more than 50 chemicals associated with cancer. This will obviously have a negative impact on health, both temporarily and in the long run. Adults who become passive smokers risk increasing the risk of coronary heart disease. Coronary heart disease can cause heart attacks, chest pain, and heart failure. Cigarette smoke inhaled can also cause hardening of the arteries or what is called atherosclerosis. This can be caused by fat, cholesterol, and chemicals in cigarettes that form on the walls of the arteries. Hardening of the arteries can cause narrowing of the arteries and block blood flow. Dangers of cigarette smoke in pregnant women. The appearance of various complications at birth. Sudden unexpected death in infants included in sudden infant death syndrome. Dangers of cigarette smoke in children. Vulnerable to the flu, coughing, wheezing (low-pitched breaths such as wheezing), shortness of breath, and middle ear infections. 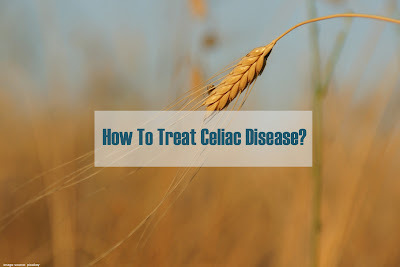 Increases the risk of respiratory diseases such as bronchitis, bronchiolitis, and pneumonia and weaker lung conditions and does not develop optimally. Infants and children exposed to cigarette smoke are at high risk of experiencing eye irritation, ear infections, allergies, asthma, pneumonia, meningitis, and sudden infant death syndrome.